In an experiment at the University of Florida with sobering implications for the legal system, individual students were put in a room to take a test alongside someone who was only pretending to be another test-taker. 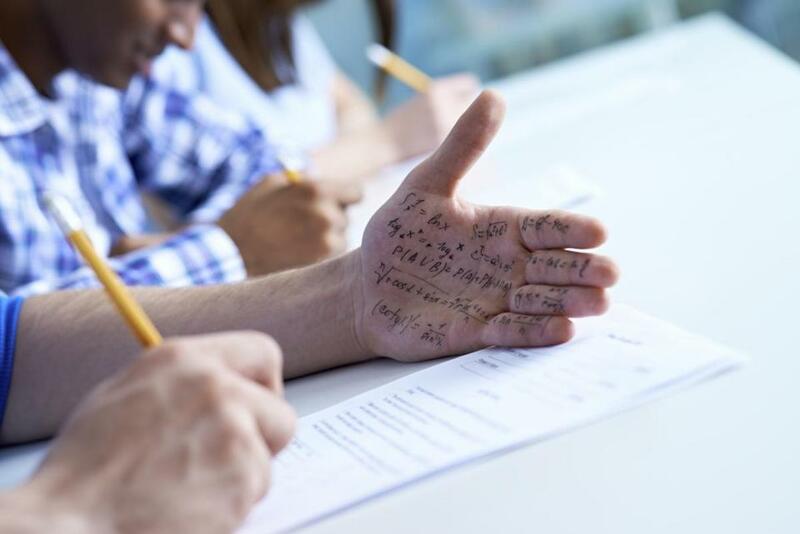 For half the students, after the administrator left the room, the fake test-taker asked the student to share answers (i.e., cheat). Almost all these students did. After supposedly grading the test, the administrator accused each student of cheating and gave them a choice between pleading guilty, with a moderate academic punishment, or going before the Student Conduct Committee for a trial, where the punishment could be more severe. Some students were then directed to call a bogus Student Conduct Committee hotline (analogous to consulting an attorney), where they were advised to plead guilty or go to trial — or simply informed of the tradeoffs. Most guilty students pleaded guilty, but a significant fraction of innocent students pleaded guilty too, especially when advised to do so, though almost none pleaded guilty when advised to go to trial. When simply informed of the tradeoffs, there was an insignificant difference between guilty and innocent students in pleading guilty. Henderson, K. & Levett, L., “Investigating Predictors of True and False Guilty Pleas,” Law and Human Behavior (forthcoming). A new study finds a negative association between the share of residents who recently moved into a community and various aspects of social capital — community involvement, political engagement, religiosity, and trusting others — even controlling for community demographics, economic conditions, outdoor environment, and the social capital of surrounding communities. In-migration impaired community involvement, religiosity, and trust more in rural communities, while it impaired political engagement more in urban communities. Hotchkiss, J. & Rupasingha, A., “In-Migration and Dilution of Community Social Capital,” Federal Reserve Bank of Atlanta (July 2018). Was the spread of Christianity facilitated more by inequality or politics? At least among Austronesian peoples (mainly in the southwest Pacific), the answer seems to be the latter. An analysis of the time it took for each group to become majority Christian reveals that the conversion was faster for groups with some sort of political hierarchy, but did not depend on the level of social inequality, even considering other factors like population size, geographic isolation, and cultural ancestry. Watts, J. et al., “Christianity Spread Faster in Small, Politically Structured Societies,” Nature Human Behaviour (August 2018). Researchers at Columbia University asked people about various experiences that are generally considered sensitive personal information. Keeping an experience secret but confiding in at least one supportive person was associated with spontaneously thinking about the secret less frequently, which in turn was associated with greater well-being, compared to not confiding in anyone, or compared to freely disclosing the information. Slepian, M. & Moulton-Tetlock, E., “Confiding Secrets and Well-Being,” Social Psychological and Personality Science (forthcoming). In January of the school year, researchers randomly sent two versions of a letter to thousands of middle- and high-school students in California who had perfect attendance in at least one month the previous fall. One version of the letter said students would win an award certificate if they achieved perfect attendance in February; the other version gave students a certificate for perfect attendance for the previous fall month. In other words, one reward was prospective, while the other was retrospective. Surprisingly, compared to students who received no letter, the prospective reward had no effect on attendance, while the retrospective reward lowered attendance. A subsequent survey experiment with adults who were asked to put themselves in the students’ shoes revealed that the retrospective reward may have led students to assume that peer and school attendance standards were lower. Robinson, C. et al., “The Demotivating Effect (and Unintended Message) of Retrospective Awards,” Harvard University (July 2018).